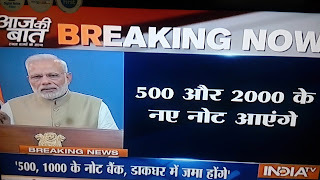 Today 8th November Our PM Mr. Narendrabhai Modi Declared 500 and 1000 Notes will no longer Valid.Traking Nation by surorise, prime Minister Narendra Modi tonight announced demonetisation of Rs 1000 and Rs 500 notes with effect from midnight making these notes invalid in a major assault on black money.fake currency and corruption.In his first televised address to the naton, Modi said people holding notes of Rs 500 and Rs 1000 can deposit the same in their bank and post office accounts from November 10 till December 30. 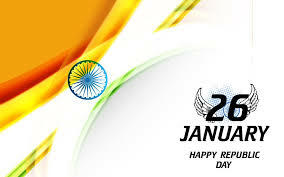 Republic Day of india is Coming 26th January 2013 and Every Year. 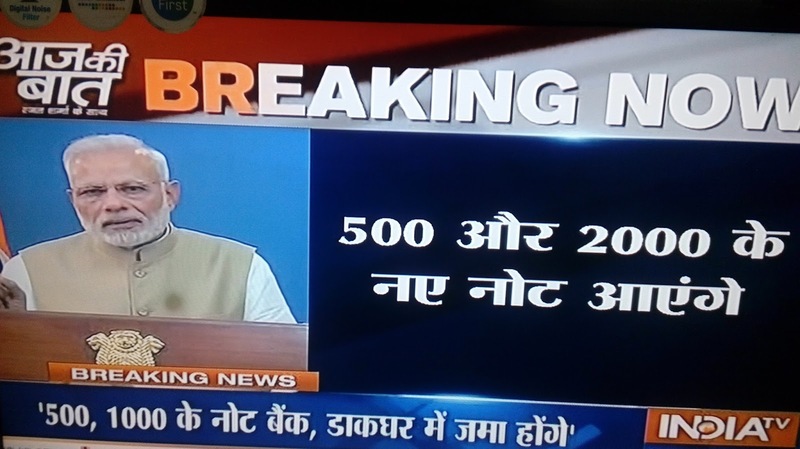 The chief guest on Republic Day of India in 2016 will be the French President Francois Hollande. 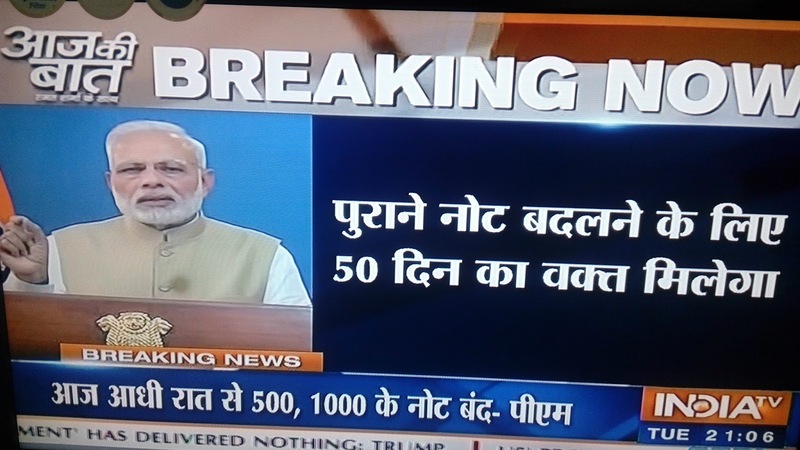 As per the media report, it has been confirmed that he will be the chief guest of Republic Day parade 26th of January 2016. This is first time in the Indian history since 1950 that French contingent will participate in the Republic Day parade of India together with the Indian armed forces. 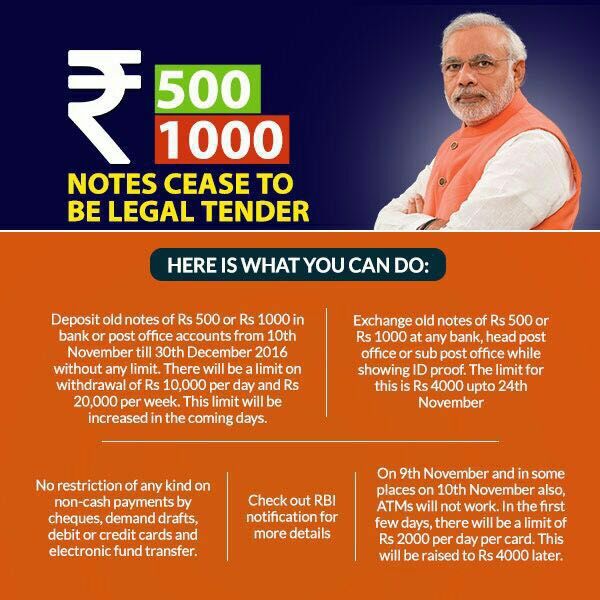 It would be ensured the cleanliness in surrounding areas and statues of great personalities. After many years (26 years later), Indian Army dogs are now back to participate in the Republic Day Parade 2016 at the Rajpath. 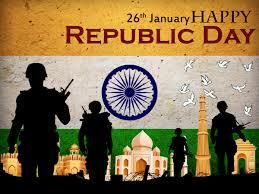 Around 36 Indian Army dogs including 24 Labradors and 12 German Shepherds will take part in the parade. 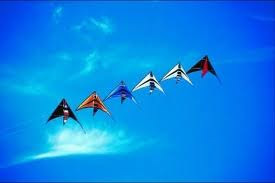 They are practicing since last four months and three times a day for better performance. 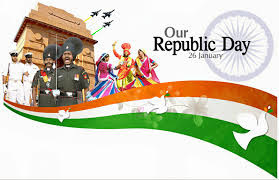 This is first time in the Indian history after 66 years that there will be no BSF camel contingent participation in the republic day parade 2016. It was 26th January 1950 one of the most important day in the Indian history as it was on this day when India became a truly sovereign state and the constitution of India came into force. 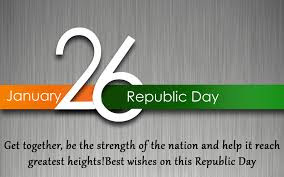 Although India gained independence from the British rule on 15th August 1947 - an occasion marked with the Independence Day celebrations every year whereas the establishment of the Republic actually has its roots in the Lahore Session of the Indian National Congress at midnight of 31st December 1929 -1st January 1930 when the Tri-Color Flag was unfurled by the nationalists and a pledge taken that every year on 26th January, the 'Independence Day' would be celebrated and that the people would unceasingly strive for the establishment of a Sovereign Democratic Republic of India. 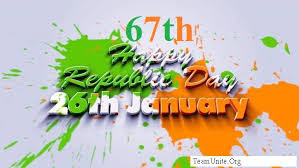 The professed pledge was successfully redeemed on 26th January 1950, when the Constitution of India framed by the Constituent Assembly of India came into force, although the Independence from the British rule was achieved on 15th August 1947. 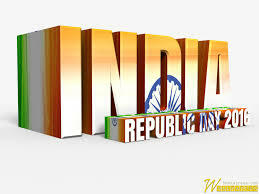 The Indian Constituent Assembly met on December 9, 1946. The Assembly appointed a number of committees to report on the various aspects of the proposed constitution. The Indian Constitution was finalized with 395 Articles and eight Schedules, and was adopted by the Constituent Assembly on November 26, 1949. 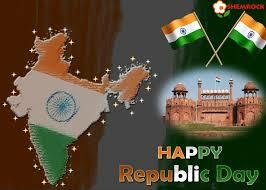 The Indian Republic officially came into being on January 26, 1950. January 26 was not some random date picked out of the calendar. 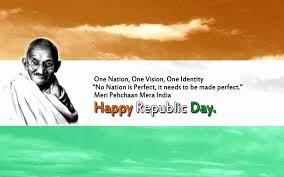 It was on this date in 1927, that the Indian National Congress, then fighting its non-violent war for freedom, voted for complete independence as against 'dominion status'. 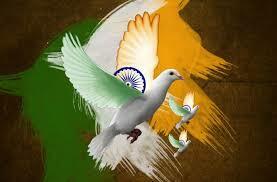 It was the date when members of the INC took the pledge to work towards a 'sovereign democratic republic' of India. 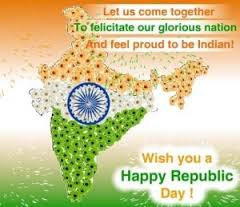 After the Constitution was written and adopted on November 1949, 26 January 1950 the following year was chosen as the day when India would finally arrive as a nation, complete with the lengthiest and the most detailed constitution in the world. 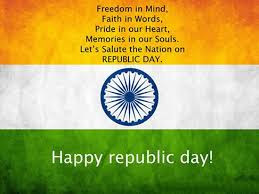 Since than Republic day is celebrated all over the country. 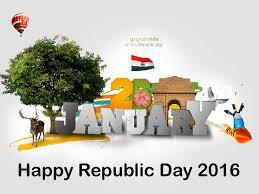 It was on 26th January 1950 that India became a nation in the true sense, with a constitution and elected representatives of the people. Here is information about January 2016 festivals. 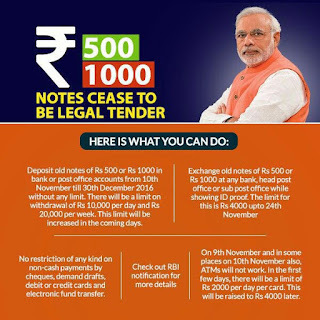 January 10, 2016 – Paush month begins in calendars followed in Gujarat, Maharashtra, Karnataka, Andhra Pradesh and Telangana. 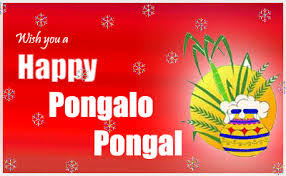 Pongal Festival is Coming on 15 January 2016 and second day of Uttrayan. 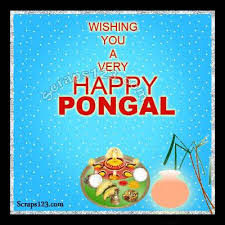 Pongal is the only festival of Hindu that follows a solar calendar and is celebrated on the fourteenth of January every year. 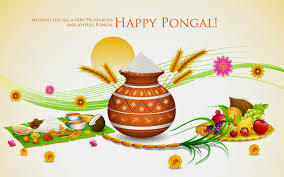 Pongal has astronomical significance: it marks the beginning of Uttarayana, the Sun's movement northward for a six month period. 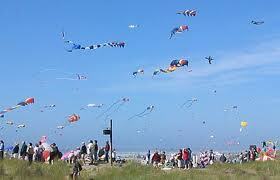 In Hinduism, Uttarayana is considered auspicious, as opposed to Dakshinaayana, or the southern movement of the sun. All important events are scheduled during this period. 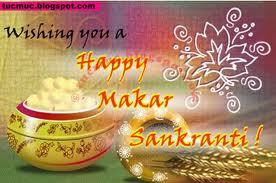 Makara Sankranthi refers to the event of the Sun entering the zodiac sign of Makara or Capricorn. 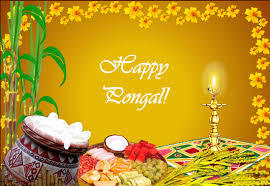 In Hindu temples bells, drums, clarinets and conch shells herald the joyous occasion of Pongal. To symbolize a bountiful harvest, rice is cooked in new pots until they boil over. Some of the rituals performed in the temple include the preparation of rice, the chanting of prayers and the offering of vegetables, sugar cane and spices to the gods. Devotees then consume the offerings to exonerate themselves of past sins. 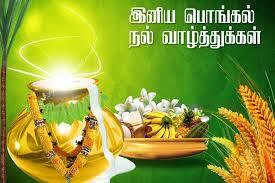 Mid-January is an important time in the Tamil calendar. 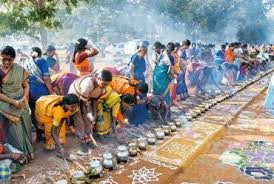 The harvest festival, Pongal, falls typically on the 14th or the 15th of January and is the quintessential 'Tamil Festival'. 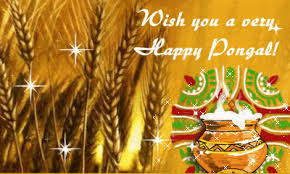 Pongal is a harvest festival, a traditional occasion for giving thanks to nature, for celebrating the life cycles that give us grain. 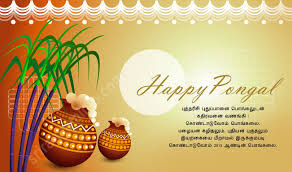 Tamilians say 'Thai pirandhaal vazhi pirakkum', and believe that knotty family problems will be solved with the advent of the Tamil month Thai that begins on Pongal day. This is traditionally the month of weddings. 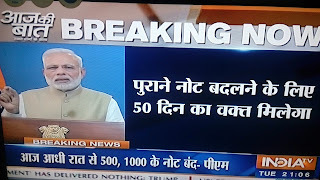 This is not a surprise in a largely agricultural community - the riches gained from a good harvest form the economic basis for expensive family occasions like weddings. 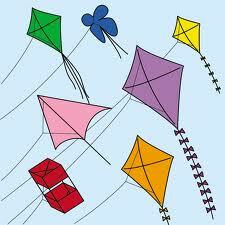 This first day is celebrated as Bhogi festival in honor of Lord Indra, the supreme ruler of clouds that give rains. Homage is paid to Lord Indra for the abundance of harvest, thereby bringing plenty and prosperity to the land. Another ritual observed on this day is Bhogi Mantalu, when useless household articles are thrown into a fire made of wood and cow-dung cakes. Girls dance around the bonfire, singing songs in praise of the gods, the spring and the harvest. The significance of the bonfire, in which is burnt the agricultural wastes and firewood is to keep warm during the last lap of winter. 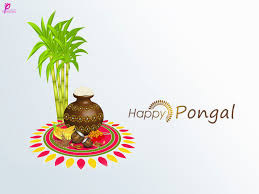 On the second day of Pongal, the puja or act of ceremonial worship is performed when rice is boiled in milk outdoors in a earthenware pot and is then symbolically offered to the sun-god along with other oblations. All people wear traditional dress and markings, and their is an interesting ritual where husband and wife dispose off elegant ritual utensils specially used for the puja. 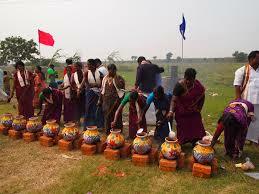 In the village, the Pongal ceremony is carried out more simply but with the same devotion. In accordance with the appointed ritual a turmeric plant is tied around the pot in which the rice will be boiled. The offerings include the two sticks of sugar-cane in background and coconut and bananas in the dish. 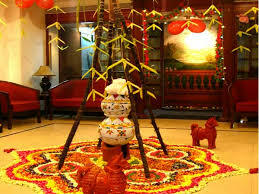 A common feature of the puja, in addition to the offerings, is the kolam, the auspicious design which is traditionally traced in white lime powder before the house in the early morning after bathing. 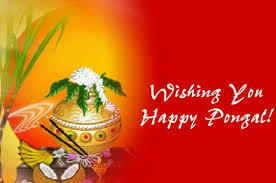 The third day is known as Mattu Pongal, the day of Pongal for cows. 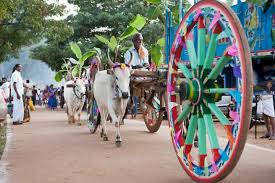 Multi-colored beads, tinkling bells, sheaves of corn and flower garlands are tied around the neck of the cattle and then are worshiped. They are fed with Pongal and taken to the village centers. 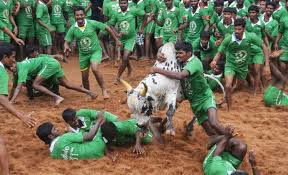 The resounding of their bells attract the villagers as the young men race each other's cattle. 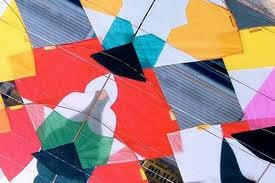 The entire atmosphere becomes festive and full of fun and revelry. Arati is performed on them, so as to ward off the evil eye. According to a legend, once Shiva asked his bull, Basava, to go to the earth and ask the mortals to have an oil massage and bath every day and to eat once a month. 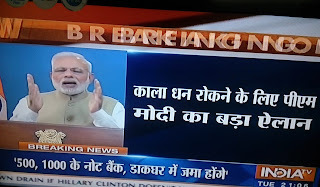 Inadvertently, Basava announced that everyone should eat daily and have an oil bath once a month. This mistake enraged Shiva who then cursed Basava, banishing him to live on the earth forever. He would have to plough the fields and help people produce more food. Thus the association of this day with cattle. 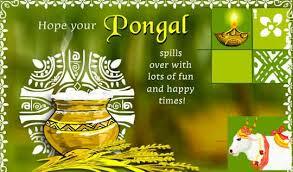 The Fourth day is known as Knau or Kannum Pongal day. On this day, a turmeric leaf is washed and is then placed on the ground. 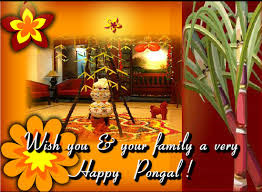 On this leaf are placed, the left overs of sweet Pongal and Venn Pongal, ordinary rice as well as rice colored red and yellow, betel leaves, betel nuts, two pieces of sugarcane, turmeric leaves, and plantains. In Tamil Nadu women perform this ritual before bathing in the morning. All the women, young and old, of the house assemble in the courtyard. The rice is placed in the centre of the leaf, while the women ask that the house and family of their brothers should prosper. Arati is performed for the brothers with turmeric water, limestone and rice, and this water is sprinkled on the kolam in front of the house. Makar Sankranti is Coming on 14 Janyuary Every year. 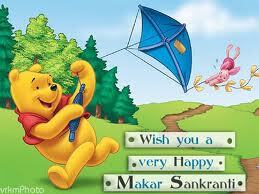 Makar Sankranti is a major harvest festival celebrated in various parts of India. 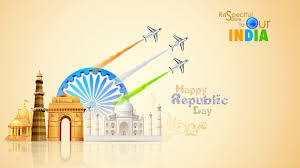 According to the lunar calendar, when the sun moves from the Tropic of Cancer to the Tropic of Capricorn or from Dakshinayana to Uttarayana, in the month of Poush in mid-January, it commemorates the beginning of the harvest season and cessation of the northeast monsoon in South India. 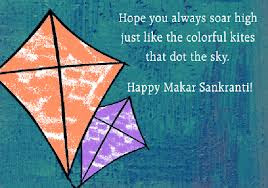 The movement of the earth from one zodiac sign into another is called Sankranti and as the Sun moves into the Capricorn zodiac known as Makar in Hindi, this occasion is named as Makar Sankranti in the Indian context. 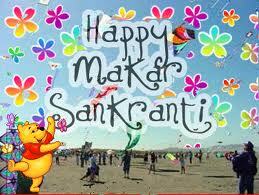 It is one of the few Hindu Indian festivals which are celebrated on a fixed date i.e. 14th January every year. 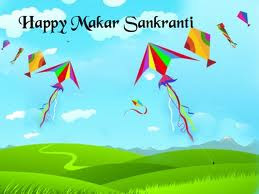 Makar Sankranti, apart from a harvest festival is also regarded as the beginning of an auspicious phase in Indian culture. 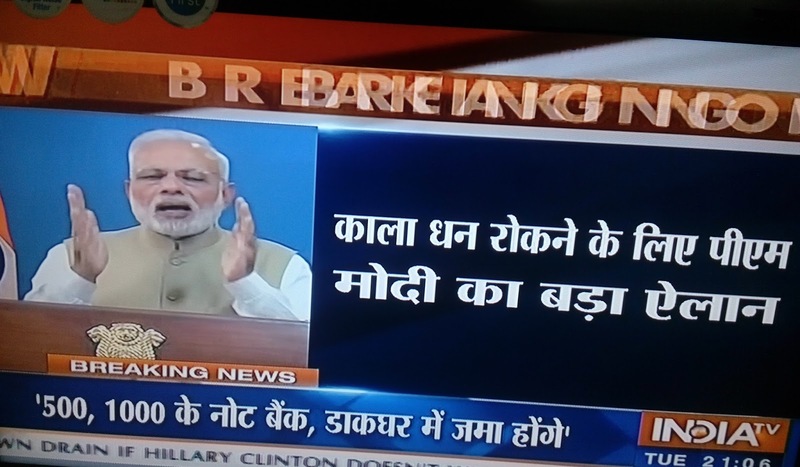 It is said as the 'holy phase of transition'. 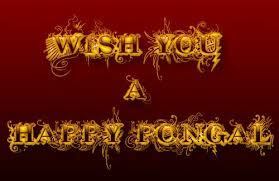 It marks the end of an inauspicious phase which according to the Hindu calendar begins around mid-December. 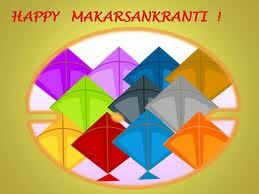 It is believed that any auspicious and sacred ritual can be sanctified in any Hindu family, this day onwards. Scientifically, this day marks the beginning of warmer and longer days compared to the nights. 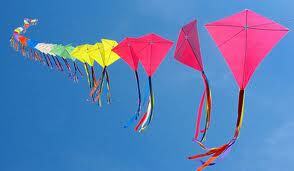 In other words, Sankranti marks the termination of winter season and beginning of a new harvest or spring season. 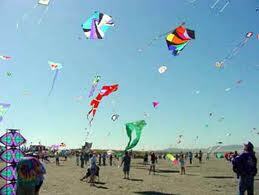 All over the country, Makar Sankranti is observed with great fanfare. However, it is celebrated with distinct names and rituals in different parts of the country. In the states of northern and western India, the festival is celebrated as the Sankranti day with special zeal and fervor. 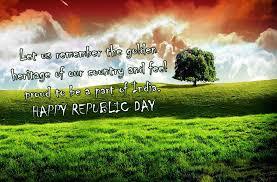 The importance of this day has been signified in the ancient epics like Mahabharata also. 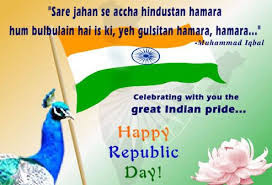 So, apart from socio-geographical importance, this day also holds a historical and religious significance. As, it is the festival of Sun God and he is regarded as the symbol divinity and wisdom, the festival also holds an eternal meaning to it. 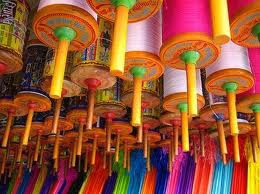 Sankranti Par Hamari Yahi Shubhkamna….